Not all is lost to Netflix and Chill. BNN is reporting that movie theatres are having their best summer numbers in twenty years. Last summer, the industry was still trying to navigate the Netflix era, but ticket sales have rebounded, at least for now. Sales numbers across North America will close the summer blockbuster season with more than a 14% increase, according to estimates from ComScore Inc. Some of the best performing Hollywood hits were Disney’s long-awaited “Incredibles 2” and Marvel’s “Avengers: Infinity War”. The summer season officially ends on Labour Day weekend. 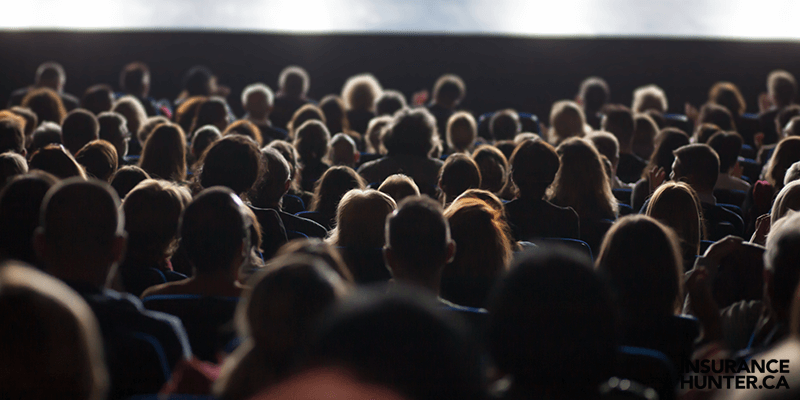 “The notion that streaming has led to a decline in cinema attendance is really over-exaggerated,” said Phil Contrino, spokesperson for the National Association of Theatre Owners. Cineplex Inc., Canada’s leading theatre chain, has seen a 17% increase in its share price following a six-month low. Summer ticket revenue, and cinema revenue in general, will always depend on big-budget pictures to draw in an audience. And without these Hollywood hits, ticket revenue can be volatile. Ticket sales last year were less than stellar, seeing a 14% fall when major releases failed to woo consumers. Sales numbers and cinema revenue are benefitting from higher ticket prices, which go on to make up for the relatively fewer cinema attendees. If Hollywood can manage to maintain its production of worthy pictures, including Oscar contenders, their good fortunes just might continue. Thank you for your business. Insurance Hunter Services Inc. (IHS), and its’ brands would like to make you aware of who we are and how we are compensated. IHS receives compensation in two ways. First, a base commission is paid by the insurer on the premium we charge you that relates to the work effort, underwriting and other policy administration expenses borne by IH. This base commission will vary from 9% to 20% depending on the product line and insurer. Second, a contingent commission may be paid to IH if an insurer represented by IH achieves certain underwriting results. The methodology for calculating the payment will vary by insurer, but generally the contingent commission, if paid, will range from 0.25% to 2.2% of the premium that IH produces for that insurer. *Brand and product availability varies by Province. Copyright © 2019 - HUB Insurance Hunter. All Rights Reserved.